Want a unique service that will simplify, de-stress and improve your quality of life? My first thought: Sign me up. Tami Hills’ Nola Clutter Busters is a New Orleans business dedicated to untangling people’s lives. Hills, an entrepreneur who launched her one-woman business in 1997, works with clients at both the private and commercial level, organizing everything from kid’s rooms and family kitchens to corporate offices and yoga studios. In one instance, she helped a small-business owner turn an old hair salon into a kid-friendly snowball shop, using “a lot of sweat equity, creative usage of materials and paint, and several late-night hours.” She tackles the small (a 400-square-foor salon), the out-dated (a ‘70s kitchen) and the challenging (a kid’s room for a single dad with a $200 budget for materials). 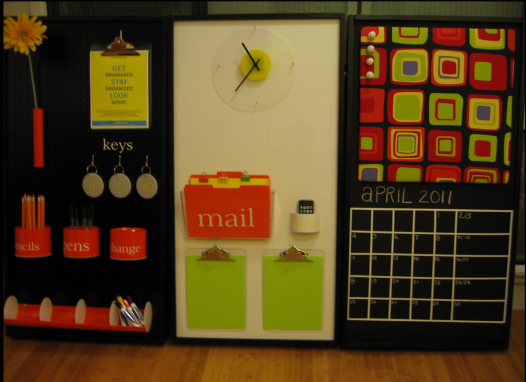 Hills’ method involves assessing the client’s personal needs, working with and sometimes coaching the client to get rid of unwanted clutter, organizing and decorating with inherent creativity, and finally teaching clients how to get and stay organized. Organizing is like dieting: It only works if you keep it up. Her energetic, upbeat attitude and artistic nature all make for a clutter-busting pro. Her empathetic nature and outgoing personality make the process manageable. After all, showing a complete stranger that chaotically cluttered closet– the one that could land you on TV’s Hoarders— can be terrifying. Hills knows how to hold a person’s hand through the entire process. And the essential truth here: Clearing your clutter is like clearing your head. For Hills, it leads to happier, healthier living. What really makes Hills special, however, is her drive to give back to the community– her own Central City neighborhood and beyond. She offers her creative talents to those in need by doing what she likes to call “connecting the dots.” She’ll take a client’s unneeded junk and either donate it to the Salvation Army or Bridge house, use it for other projects, or sometimes give it to people in the neighborhood. She also often works pro bono for schools, foster homes, the elderly and local non-profit organizations, whether it’s picking up trash on the block or turning recycled goods into works of art. A recent project has been The Green Project’s Salvations Salvaged Furniture Design Competition, in which contestants recycle and refurbish recycled parts into unique pieces of furniture. Honing in on her organizing talents, Hills has created what she calls a “vertical desk,” a beautiful 6-foot long organizer that looks new. All the pieces will be auctioned off at the end of the competition. Katherine Peck is an editorial intern at NolaVie.